Dear guest, my team and I would like to offer you the warmest of welcomes. 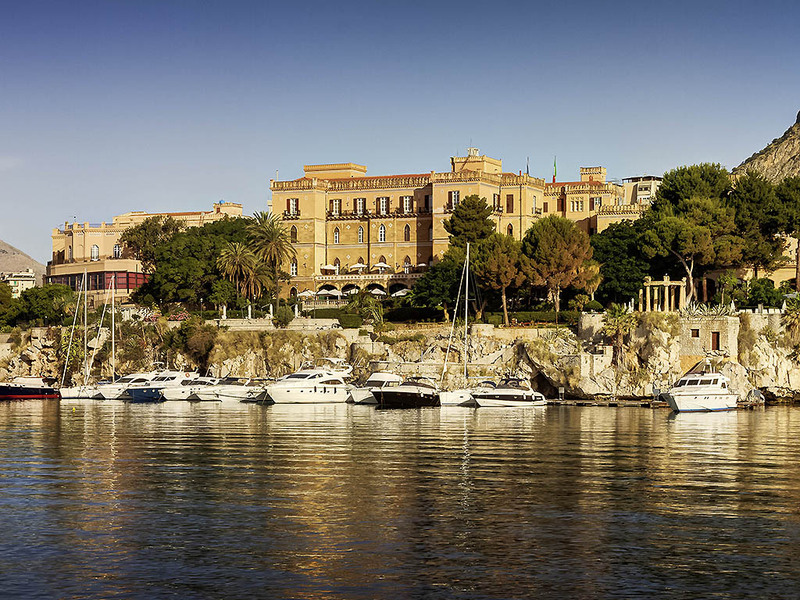 Whatever the reason for your visit to Palermo, we will do our utmost to ensure you enjoy a unique and unforgettable stay. The rooms and suites in the collection's charming hotels provide all the modern comforts you expect in an authentic setting. Enjoy the luxury of times gone by while still surrounded by modern comforts. Our Suites boast a sea view, and drapes and flock wallpaper in warm colors. They are perfect for a romantic getaway or a business trip. The Donna Franca Florio restaurant has a splendid terrace overlooking the sea and offers Mediterranean specialties for lunch and dinner. Fine glassware, Art Nouveau candelabra and a cellar with prestigious wines characterize this exclusive, refined Gourmet Restaurant. Only open for dinner, it is the perfect place to sample the exquisite dishes created by our chef, Carmelo Trentacosti. The Des Arcades lounge bar is situated on an exclusive terrace, facing Palermo golf course. Whether in summer, with the terrace bathed in sunlight, or in winter in front of the fire, it is a wonderful piano bar.